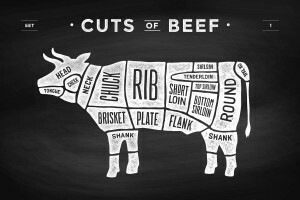 What is beef cube steak? It is round steak that has been pulverized to make it more tender. While it is certainly an economical choice, the trick is preparing it so that it’s tasty. In a medium bowl, whisk the eggs, cumin, cayenne pepper, salt, and pepper. Add the cube steaks to the mixture and coat on both sides. Let it sit in egg mixture for about 10 minutes. In a plastic bag, combine the flour, cornstarch, and a little salt and pepper. Remove the steaks from the egg mixture and place in zip lock bag. Shake until the steaks are coated evenly. Remove, and place steaks on a rack for another 10 minutes. In a large skillet, add olive oil and place over medium heat. Once hot, fry steaks, flipping only once, about 2-3 minutes per side. You want the steaks to be golden brown. Remove, and place on serving platter. Serve with your choice of gravy and vegetables.